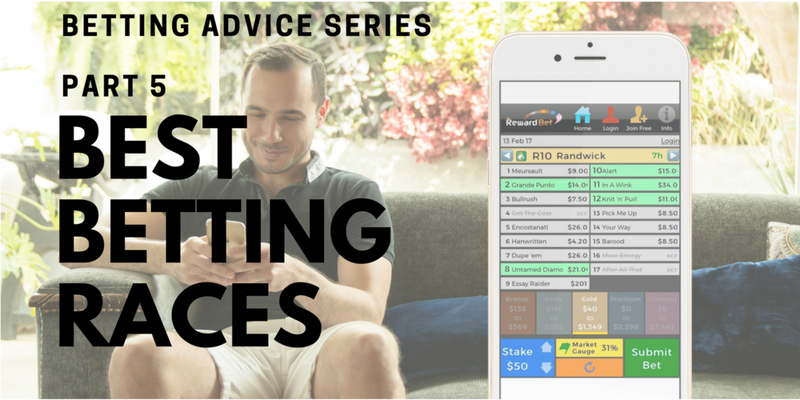 This is part five of an eight-part series aimed at educating punters to help take their wagering to the next level. Brad Gray sought the insights of five of the most respected industry figures when it comes to punting, form analysis and bookmaking. We're half way through the series now and one of the most obvious takeouts is that if you want to become a consistent winning punter your best chance of doing so is to zone in on a specific region, type of horse or as the below explains further, a certain type of race. Whether that be races over a specific distance range, grade of race or a general horse profile, there are plenty of ways to carve out your own profitable punting niche. The higher the grade the better for me because there’s more form to analyse and handicaps are better for me because the horses have been graded to finish in a bunch. The most rewarding races are the biggest challenges, and they are high grade handicaps. Much is known about the runners so finding points of difference takes some digging and the deeper you have to dig the harder it is for the average punter and the more rewarding it can be for the people who spend the time to dig or in my case, have got the algorithms to do it. I’ve always found distances in the middle range to be more reliable for punting as opposed to sprints where one little error can bring a horse undone. If I look back and think about where I’ve been most successful it’s probably between 1300m and 1700m. That would be me. I like races that you don’t often see now, where you have a variety of horses. Like three-year-olds beating older horses, interstate and country horses meeting Sydney horses – they are the races that are interesting. I think 1000m and 1100m races are terrific. I really enjoy them. However, I also enjoy the mile and a half plus races. I like the extremes more than the others. It’s interesting trying to put it all together. I just like betting. I have told a few people that every professional punter I know is just a general punter that has found a way to win at it. I made a decision when I was 14 or 15 in the TAB with my old man, who lost most of the time, that if I’m going to be a punter which it looks like I will be, I better find a way to win at it. Lightly-raced horses are definitely my edge. Races with a number of first starters, resumers or lightly-raced horses I get a guide from the trials before the rest of the market can. The big computer programmers want exposed form. The whole marketplace has changed enormously in how you need to gamble over my 15 years and that’s just part of it. The form itself has undergone a revolution. The market itself has gotten smarter. You need to be smarter again and be able to adjust. Tweak what you do and always be listening. You never know what you’ll pick up. Just by virtue of the way I measure performances, it is very heavily based on times and especially sectionals, so I tend to find a lot of up-and-coming talented horses a run before they are fully appreciated by the market. It doesn’t necessarily mean finding horses at 20/1 but often horses that are perceived to be good horses but are not fully appreciated for their level of talent. Take a horse like Assimilate that came off a Kembla maiden win that to me looked like a Group class three-year-old on how I assess things. He came to a Saturday race and won then got beaten a lip by Bjorn Baker’s colt Addictive Nature. I like betting in the top class WFA races too but if you’re looking at strengths and weaknesses I’d say that’s an area I focus on – identifying the up-and-comers especially coming from provincial races or midweek races. Video: Assimilate winning at Kembla Grange. The least exposed races the better for me. Maidens, big fields, two year olds is where barrier trials and trusting your eye comes into it more than exposed form. In a weight for age race everyone is going to get to a similar answer. Sprint racing is more my forte than staying races too. There are a lot more variables that come in. The bigger the fields, the shorter the race and the less exposed form is where I would rather play. The gap closes the more that information is out there for people to digest so where I fit in, the more art that is involved, it’s to my advantage and it has proved to be the case over the long run. That’s where I make most of my profit. I still have a go at other areas but I’m doing a lot more work for a lot less advantage.